Located in Cheshire, Wallingford, and North Haven Connecticut, Feldman Orthodontics is here to give you the best and most memorable orthodontic experience around in a friendly, comfortable, and fun environment! Our orthodontists, Dr. Barry Feldman, Dr. Jonny Feldman, Dr. David Feldman, Dr. Kelly Morrison, and Dr. Preeti K. Chandhoke along with our outstanding team, are committed to helping you achieve a healthy, beautiful smile you’ll share with confidence! 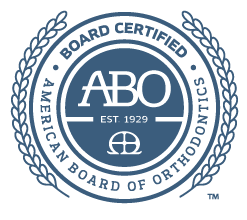 Orthodontic treatment requires decisions that are right for each patient’s clinical, personal, and aesthetic needs. Drs. Feldman, Morrison and Chandhoke will create a treatment plan that is tailored to you. They care for each patient as if they were family - attentively, compassionately, and with an eye toward creating the most beautiful and functional finished smile. Traditional metal and ceramic braces for children, teens, and adults! We pride ourselves in the courteous and on-time service we deliver to each person who walks through our doors. Our Cheshire, Wallingford and North Haven offices are also convenient for patients in Southington, Plainville, Bethany, Prospect, Meriden, and Durham and all other communities in South Central Connecticut. Feldman Orthodontics has grown by treating each patient the way we would want to be treated. We do whatever it takes to make sure every patient has a great experience. We have been creating incredible smiles for our friends and neighbors since 1971, and we’d love to help you achieve your smile dreams, too! Call our office today to schedule a complimentary consultation appointment!